What is Your T1D Footprint? According to the Juvenile Diabetes Research Foundation, 1.25 million Americans are currently living with Type 1 Diabetes and 5 million Americans are expected to have it by 2050. We must continue to spread awareness and support and encourage each other! The numbers – including finger pricks and injections, continue to add up. We’re in this together and there are other people managing diabetes daily, just like you. What is your T1D footprint? We calculated Rhodes’ footprint (shown in this post). 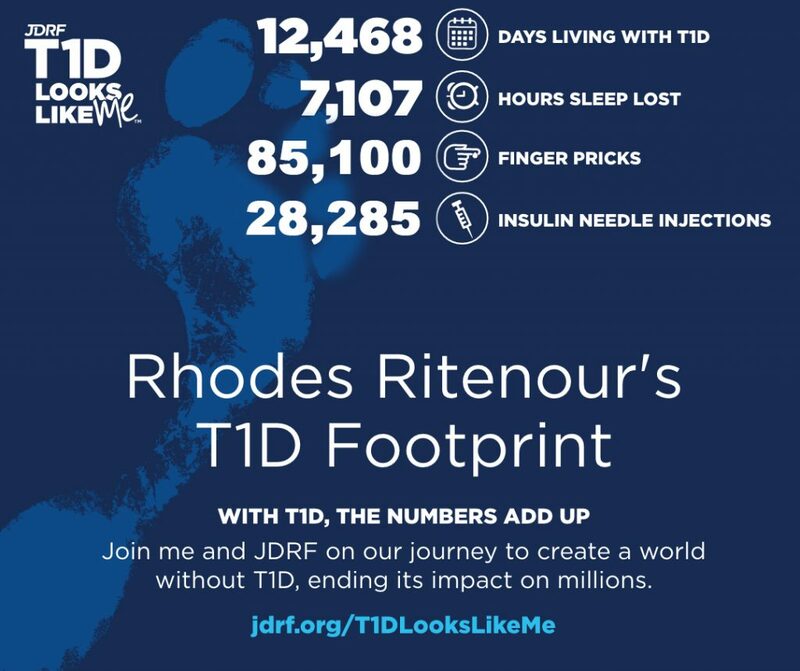 Visit www.jdrf.org/t1dlookslikeme to create your T1D footprint today. Share it with us in the comments below and on social media, and don’t forget to include the hashtag #T1DYouDontSee.